If you're in the market for a value-packed performance all-season tire, the Falken Pro G4 A/S may be worth a look. Falken invited Discount Tire employees from all over the country to join them in Las Vegas, NV for a day of testing to showcase the improvements their new Pro G4 A/S tire has over its predecessor, the Ziex ZE-612 Plus. We put each model through its paces and at the end of the day we were pleased with the results. Pro G4 A/S delivered solid performance in dry handling/braking, ride comfort, steering response and road noise but where it shined most was in wet handling/braking. In addition to wide circumferential grooves, multi-width shoulder grooves and high density siping (all of which increase wet performance and enhance hydroplaning resistance), Falken has incorporated a new rubber compound into the Pro G4 A/S, known as Dynamic Range Technology (D.R.T.). D.R.T. is Falken's exclusive silica tread compound that greatly enhances the operating temperature range of the Pro G4 A/S. This specialized compound not only greatly improves wet grip, but also allows the rubber compound to remain pliable at low temperatures. 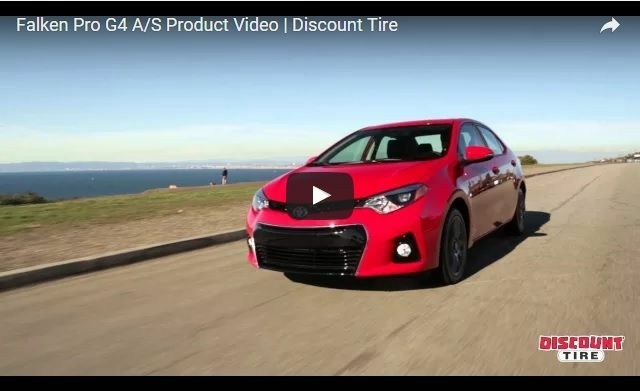 Although we were unable to test this tire in inclement weather conditions, the new Pro G4 A/S has the components in place to be a competitor in the all-season/winter performance category. New product video added to the OP! I just bought a set of these 235/60 R18 during the 4th of July sale. Nice and smooth and a little less road noise than the factory Hankooks. Put about 200 miles on them, going 75-80mph on the freeway. Very happy with them. Glad to hear they are working out good for your. We appreciate your business.